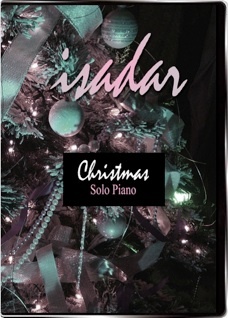 O Christmas is the companion songbook to Isadar’s 2012 recording by the same name. 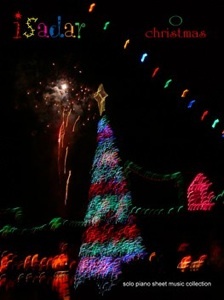 All ten carols from the CD/MP3 are here, expertly transcribed by David Shenton (ShentonMusic.com). 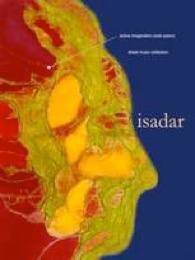 Like the CD/MP3, the book contains a fascinating assortment of familiar and not-so-familiar Christmas pieces, arranged in Isadar’s distinctive (and often unusual) playing style. Often very rhythmic and played at a relatively fast tempo, several of these carols will be a challenge for the average pianist. Because of the complex timing in places and the unique arrangements, listening to the CD before attempting to play the sheet music would be very helpful to get a feel for how the music is intended be played. It should flow and sound effortless rather than labored with a metronome. That said, this is a very enjoyable collection to play and should provide early-advanced and advanced pianists many years of fun at the piano. The layout of the book is very crisp and clean with clear and concise playing instructions, metronome speeds, pedal indications, and chord markings (for additional instruments or to help with improvisation). 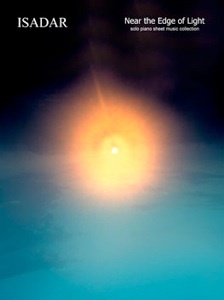 A few of the pieces have octave chords, but there are no reaches beyond that. There are no difficult key signatures. The stapled binding allows the book to stay open on the piano with little or no breaking-in needed. My favorites to play are “Good Christian Men,” “Teddy Bear’s Picnic/March of the Toys,” “Still,” “Greensleeves 2012,” and “Masters In This Hall.” Other titles include “O Christmas Tree,” “O Come, O Come Emmanuel,” “Song of the Wise Men,” “O Come Little Children,” and “Merry Christmas... And A Happy New Year.” O Christmas is available from isadar.com. Recommended!! !